St. Patrick's Day | Saving Utah one brew at at time. March 17th is St. Patrick's Day, and on St. Patrick's day everyone is a little Irish. So why not celebrate and drink an Irish beer. By the way, Irish beer is NOT green. Most of the time it is not even a pale yellow. The two best know styles of Irish beer are Dry Stout and Irish Red Ale. Dry Stout is a lower alcohol ale that is very dark (almost black) with bitterness from roasted grains. It has a very creamy body and head and finishes sharp and dry with some coffee and bittersweet chocolate notes. The best commercial Irish example is Guiness Extra Stout. 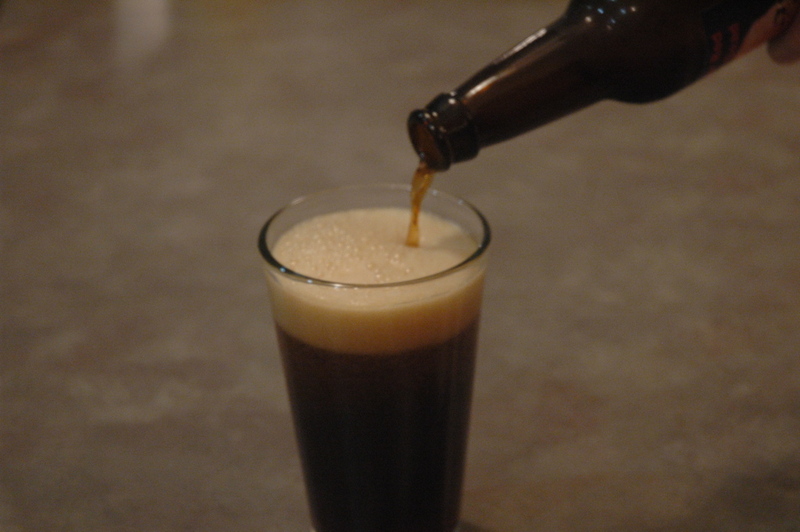 Irish Red Ale is also a lower alcohol beer, but has a coppery red or brown hue. It is malt focused with an initial sweetness, but finishes with a roasted dryness from the grains. Hops are balanced without being too assertive. So, when faced with a green beer, just do what any true Irishman would do. Sneer at it and order a pint of real beer! If you can't find a real Irish beer, then maybe you should brew your own. Join the Cache Brewing Society and we can show you how.